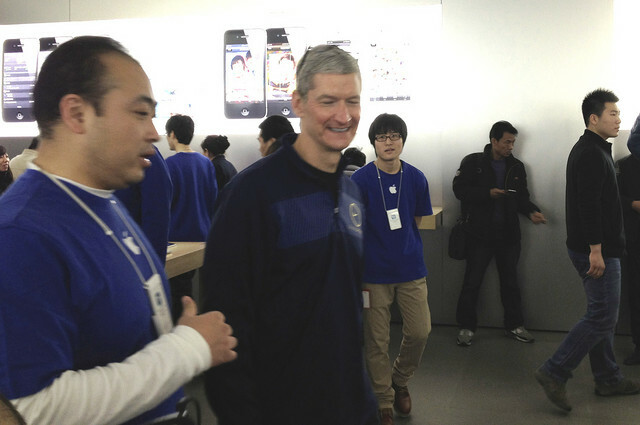 Reports suggest that Tim Cook, Apple CEO had a meeting with China Mobile chairman Xi Guohua this week in Beijing. Despite the scarce details, it’s widely believed that the discussion was about what a China Mobile spokesman called "matters of cooperation." The two parties are believed to have signed a confidentiality agreement, which would give Apple access to 700 million more subscribers with a huge smartphone market ready to catch fire. During his tour in China, Cook has visited Apple Stores and official resellers all over the country, held several meetings with government officials to discuss technology procedures, and visited current companions, including China Mobile's smaller rival China Unicom. According to a survey conducted by research firm IDC in December, right before the iPhone 5's launch in China, Apple’s share of China's smartphone market has fallen from fourth to sixth position, after Samsung, Lenovo, Coolpad, ZTE, and Huawei. With smartphones still being just a small fraction of China's total wireless market, access to all three networks operating in the country would definitely improve Apple's stance. This may rationally be considered to be the reason why Cook allegedly assumed that Apple intends to expand its retail presence in China by increasing its official store number nationwide from 11 to 25.